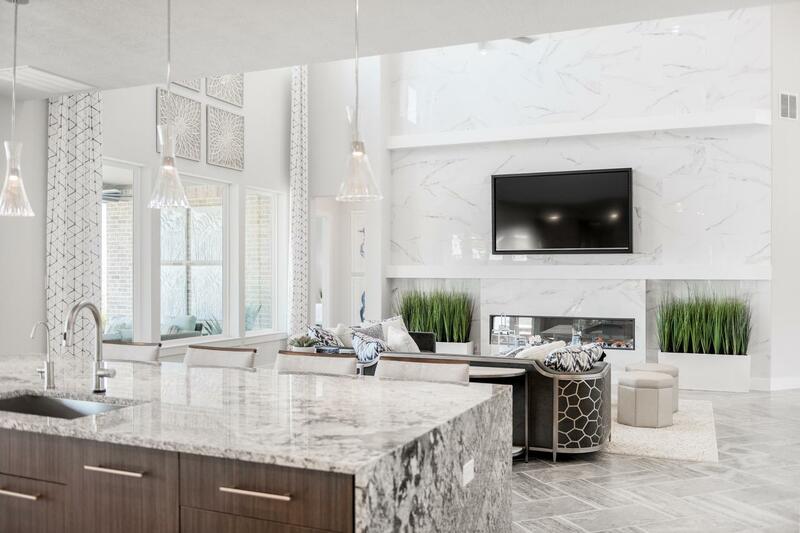 KATY, Texas – (Realty News Report) – Trendmaker Homes Houston, a member of the TRI Pointe Group has announced the grand opening of LakeHouse, a new gated community just west of Houston in Katy. As the developer and home builder, Trendmaker will deliver approximately 350 home sites and several community amenities to the 225-acre property. The community is located west of the Grand Parkway, near Clay Road. From first-time homebuyers to move-up professionals, LakeHouse offers 50’-, 60’-, 70’- and 90’-wide sites that include oversized backyards. The one- and two-story homes will feature open floorplans with up to five bedrooms, 2 to 5.5 baths, and two- to four-car garages, and will range in size from 1,800 SF to more than 5,000 SF. The 50’ and 60’ sites will accommodate a new collection of homes at an attainable price. “At LakeHouse, all residents will enjoy carefully designed, thoughtfully envisioned comfort and convenience while being able to find that special home to fit their unique residential needs,” said Joe Mandola, president, Trendmaker Homes. Home prices will range from the $200s to $600s with first move-ins anticipated in summer 2019.